One of the primary components to any garage door are the springs. 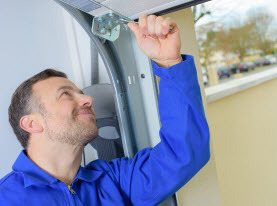 Springs are often the culprit when the garage door system fails to open or fails to open correctly, as they commonly decay over time and use, or they can inadvertently get damaged. The springs are referenced by professionals or within the industry as torsion springs or extension springs. In an effort to help consumers understand the difference between torsion springs and extension springs, we at Vegas Valley Garage Door Repair would like to take the opportunity to relate basic information concerning Torsion Springs and Extension Springs. How Do Torsion & Extension Garage Door Springs Work? Found in a shaft above your garage door, the torsion springs are the larger of the two. You will not see both torsion springs and extension springs on the same garage door, as generally, most garage doors have one or the other types of springs. As opposed to multiple springs on average or large garage doors, the standard size garage door measures 8×7 or 9×7, only one spring is equipped. 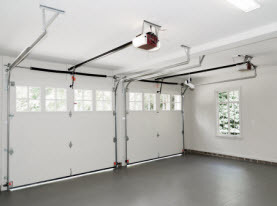 Torsion springs will wind or unwind to lift or lower the garage door as you open and close the door. When opening or closing the door, on the other hand, the extension springs fully expand or contract. For a number of reasons, most professionals prefer the torsion springs over the extension springs. Despite being a little costlier than the extension springs, torsion springs often last twice as long, offering a better value to consumers. The torsion springs tend to be more sufficient at opening and closing the garage door with a more controlled motion than the other spring. Causing the wear and tear to expedite more so than torsion springs the extension springs generally function with a jerky motion in comparison. In addition to the need for frequent repairs or replacements, extension springs have a more complicated apparatus. Even lubrication becomes more challenging, the complexity of these springs also requires more maintenance. Though they have the potential to fly off, the torsion springs will produce a terrifyingly dangerous sound when they are snapped as they usually stay attached to the shaft. It is extremely important that when either of these springs require maintenance, repair, or replacement, that they be done by a professional to avoid serious injury or property damage. The extension springs do have their benefits as well although the torsion springs are more superior. When there is not a lot of overhead space in your garage, they are useful and a better option, as well as being more cost efficient. With proper care and maintenance, extension springs are still efficient at getting the job done and safe to use. 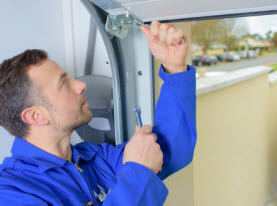 In the event you are unsure about the specifics of the springs used on your garage door, or simply want to inquire about maintenance, you can contact your garage door professional for expert advice. 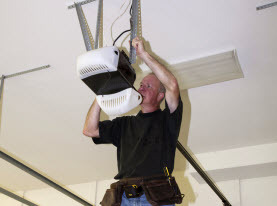 When your springs need attention, or general garage door inspections, maintenance, repairs, and replacement be a part of the agenda, call Vegas Valley Garage Door Repair and let our team of experienced technicians provide our quality services.